Why is it that some people make dream after dream come true, while others just continue dreaming and spend their lives building dreams for someone else? One simple reason, those that are "successful" have found their SLIGHT EDGE! This book is not just another self-help, motivation tool of methods you must to learn in order to make it up the path of success. 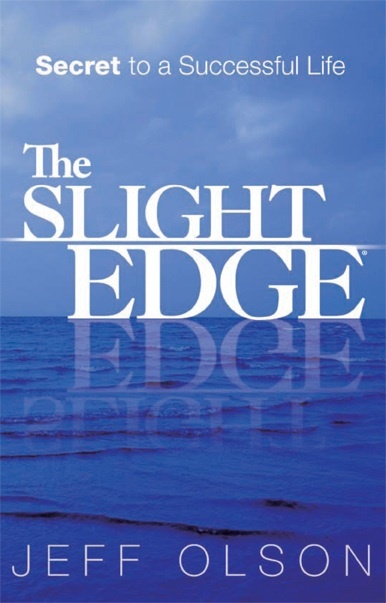 The Slight Edge simply shows you how to create powerful results from the simple daily activities of your life, by using tools that are already within you. And all you need to make that happen? Discover that "one" thing that will help you achieve that goal, realize a life-long dream or propel you up the ladder to success. Once you got it, then you will discover how your philosophy... creates your attitude... creates your actions... creates your results... creates YOUR LIFE! Plus, Jeff shares with you "the key" that will make all of the other self-help information you read, watch and hear actually work in your life!